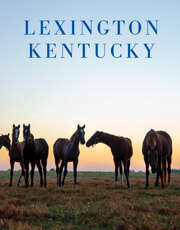 Lexington earned the title "Horse Capital of the World." Searching for "horsey" things to do in Lexington and the Bluegrass Region? Browse the horse attractions below. As you plan your trip, don&apos;t forget to leave time for a drive through our famous countryside, and be sure to call ahead and schedule a visit to one of our legendary horse farms.